Description: ABD bible code software provides best tools and quality matrices results for bible code research. Download Advanced Bible Decoder Pro today! Powerful bilingual English-Hebrew dictionary, allowing the English speaking user to search the Bible without any knowledge of Hebrew. Multilingual translations of the Bible, allowing the user to understand all the verses without any knowledge of Hebrew. Many statistical tools as statistical simulation test. Description: Anxiety & Phobia workbook Software is a user friendly system which keeps track of medication, log daily events, keep a record of symptoms, monitor therapy and even chart the progress of your recovery. Relative records are also available to show to your doctors or therapists. Description: Asynx Planetarium is a easy to use planetarium program and solar system simulator. It can display the night sky from any location on earth and between the year 1760 and 9999. It covers over 10000 stars, the planets, messier objects, all 88 constellations, the moon with phase and the sun. Fast animations: Night sky, geocentric and heliocentric view. Perfect for students, kids and all others interested in our solarsystem. Try it, it's free ! Description: You presented someday, what the cat sees? But crocodile? You will say this will impossible? - now this became possible. Due to the most latest development of the company Despeus Cats Eye v 1.1. You may use the different types a pupil of an eye to achieve grandiose video-effect and/or simply studies as that or other thing sees the cat. Irreplaceable exhibit for scientist and creators cinema-video product. Description: This reference guide contains details about computer cart and other medical record keeping supplies. If your medical office needs more supplies, this reference guide will help you become better informed. Description: This reference guide contains details about computer carts and other medical record keeping supplies. If your medical office needs more supplies, this reference guide will help you become better informed. 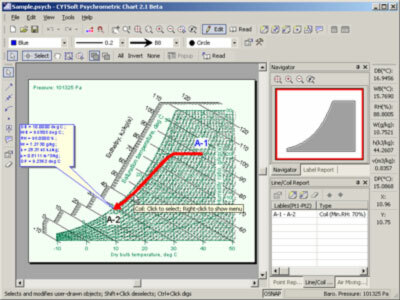 Description: An interactive and intelligent psychrometric chart program designed for HVAC and refrigerating. It helps engineers calculate, analyze, draw, edit, print, and export the conditions and processes of moist air quickly and accurately. The psychrometric algorithms are based on Hyland and Wexler's reports published by ASHRAE, which treat dry air, water vapor and moist air as real gases, rather than ideal gases. Description: EasyNN-plus is a neural network system for Microsoft Windows. It makes the creation of neural networks easy. It allows the user to produce multilayer neural networks from a grid or from text files and images. The user can produce training, validating and querying files using the facilities in EasyNN-plus or using any editor, word processor or spreadsheet that supports text files.